Drop shoulder style. 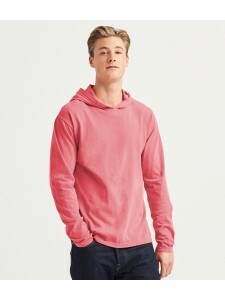 Hood with contrast drawcord. Contrast neck tape. Full length contrast zip. 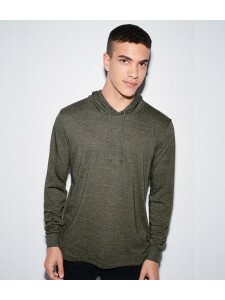 Fron..
Three piece unlined layer hood. 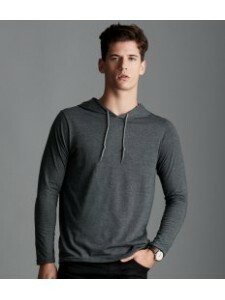 Crossover V neckline. 1x1 baby ribbed cuffs. Taped neck and shoulder..
Semi-fitted. Unlined hood. Full length contrast charcoal metallic zip. Side seams. Front pouch pocke.. Slim fit. Soft feel lightweight fabric. Self colour flat drawcord. Hidden ear phone loops. Twin need..
Pre-shrunk. Semi-fitted. 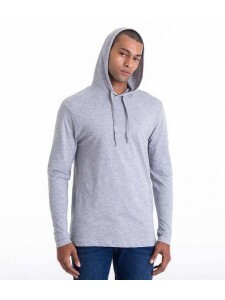 Relaxed hood with contrast drawcord. Tubular body (some colours in transiti..